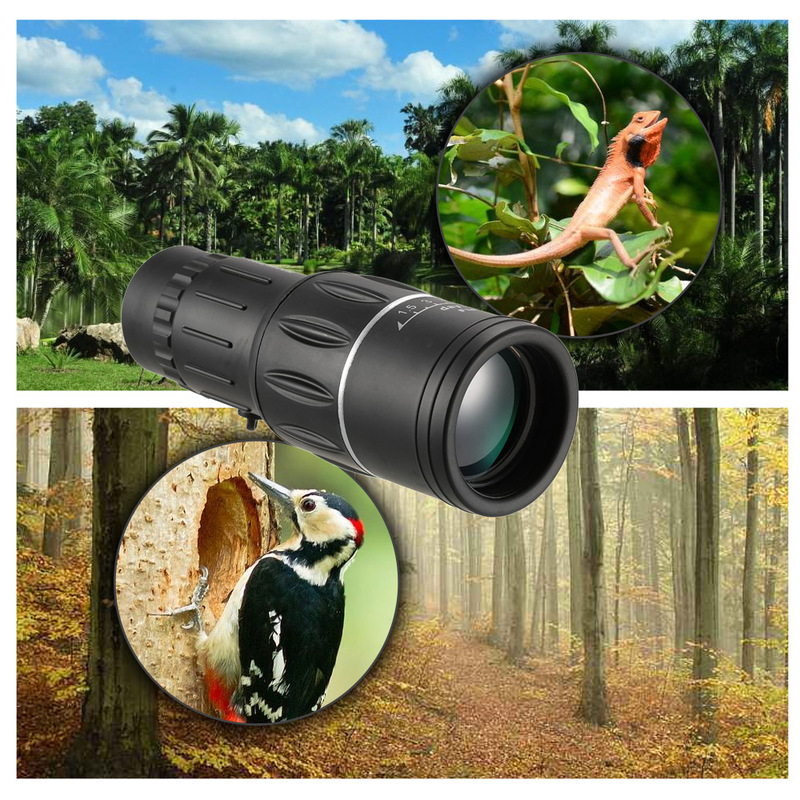 Adjustable focus length, you can rotate object or ocular lens according to your need. Easy to operate, very convenient. Supplied with strap, easy to carry. Supplied with cleaning cloth, keep lens clean. Ideal for traveling, hiking, camping, bird-watching, etc. Don't clean the inner parts of the monocular or dissemble the monocular without guidance of expert. Never look at the sun directly with this product.